Size of this PNG preview of this SVG file: 600 × 400 pixels. Ither resolutions: 320 × 213 pixels | 640 × 427 pixels | 800 × 533 pixels | 1,024 × 683 pixels | 1,280 × 853 pixels. 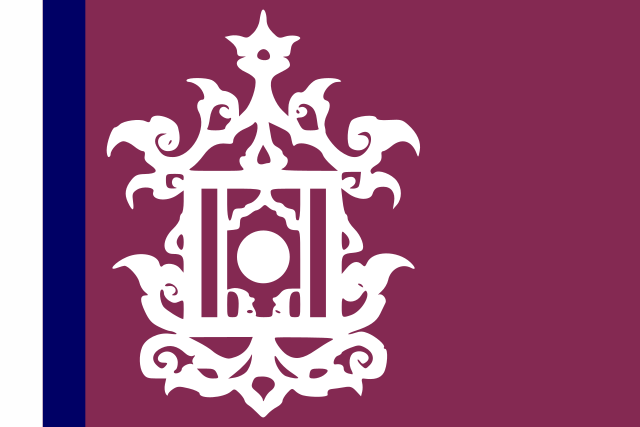 English: Flag of the Sulu Sultanate as it appeared in the late 19th Century. This work has been released into the public domain by its author, Orange Tuesday at Inglis Wikipaedia. This applies worldwide. Transferred from en.wikipedia to Commons by Broadbeer using CommonsHelper.